Every so often, a realm of thought comes along that revolutionizes an entire industry. 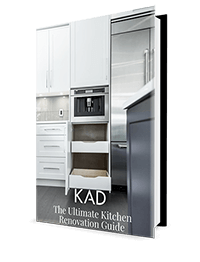 There’s this theory that was developed by kitchen designers in the late 20th century; it placed the functionality of the kitchen on a level playing field with style and aesthetics, and it’s withstood the test of time as a relevant design theory ever since. The anatomy of the kitchen work triangle, or the Golden Triangle, is a design theory steeped in science, practicality, and art. Coined in the 1920’s by industrial psychologist and engineer, Lillian Moller Gilbreth, the practical kitchen was unveiled at the Women’s Exposition in 1929, and was based on the principle of motion saving. This concept evolved in the 1940’s to address efficiency between major kitchen work stations. Shortly after, the University of Illinois School of Architecture was credited with the creation of the work triangle in its effort to reduce the costs of standardized kitchen construction. In this post, we’re unwrapping the anatomy of the kitchen work triangle and discovering how it’s maintained its place among the best kitchen designs, and how its managed to do so for so long. Less is more, as they say. The concept of the kitchen work triangle is a simple – but powerful one. In its most stripped down form, the theory dictates that three specific points are required to work from in a kitchen that’s optimized for cooking, flow, and practical use of space. Using the sink, refrigerator, and the stove, designers can access every station they need with a minimum amount of steps to carry out any culinary job they need to, from food prep, washing, cooking, and disposing of food waste – all without having to run about in circles. According to the original concept, these three kitchen features should be configured in a triangular shape anywhere from 4-9 feet apart, depending on the overall size of the kitchen. At these distances, the overall sum distance of the entire triangle should be no less than 13, and no more than 26 feet. Any less, and space will be too constricted to safely and confidently use the kitchen — any more, and there will be too much space between each station, constituting extra steps and limiting kitchen productivity and practicality. You may ask, why not a square utilizing four stations for added function – say with the pantry as a fourth corner of the design concept; but the triangle shape is specifically designed to eliminate traffic jams or foot-traffic bottlenecks in the kitchen. The segments of the work triangle are meant to represent traffic flow in the kitchen, and it contributes to an intuitive rotational action between each task. Rather than crossing a direct path of traffic, the triangle shape allows people to pass through easily, while navigating each workstation. In this sense the work triangle optimizes a kitchen for ideal use and for flow, liberating each culinary chore from difficult movements. Let’s imagine you’re cooking a beautiful pasta dinner for a few guests. As you stir the noodles on the stovetop, you remember that you forgot to prep the mushrooms for the sauce – so, you swing to your right and open the fridge. From the fridge, you make another right to your prep station on the kitchen island or peninsula. Your cutting boards and knives are right there ready for you. At the same time, one of your guests swoops in behind you for a refill at the fridge. 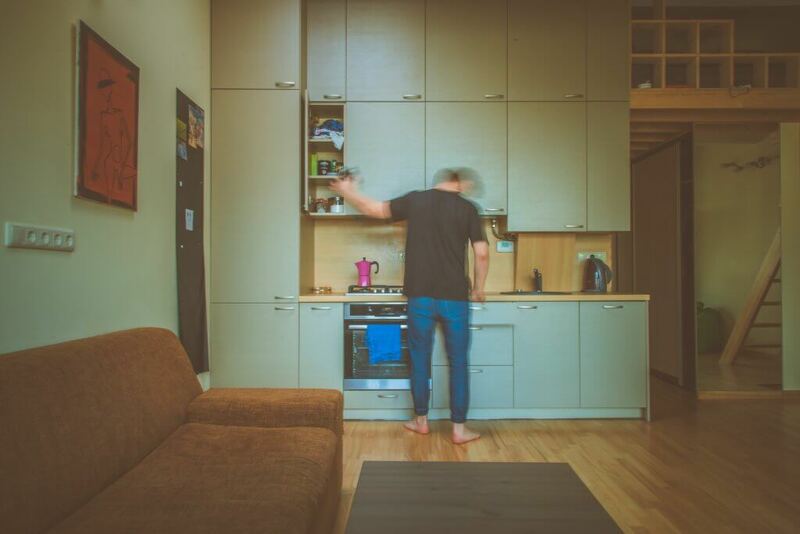 You don’t bump into each other, step on toes, or spill that glass of vino because you cycle through the busiest spot in the kitchen in the same direction. You chop and prep the ingredients, and make yet another right hand turn back to the stovetop – but then you remember you need a utensil to stir your sauce. Quick left back to the drawer at the prep station, and you’re back in business. All without having to take more than 5 or 6 steps to find everything. That’s the beauty of the kitchen work station. No concept is ever left as-is for long. The human spirit is always trying to better understand the decisions we make, and as such, tries to optimize and better our ideas over time – the kitchen work triangle is no exception. Though it’s stayed relatively unchanged in principle since its inception, the shape of the triangle can easily be manipulated to serve all types of dream kitchens. 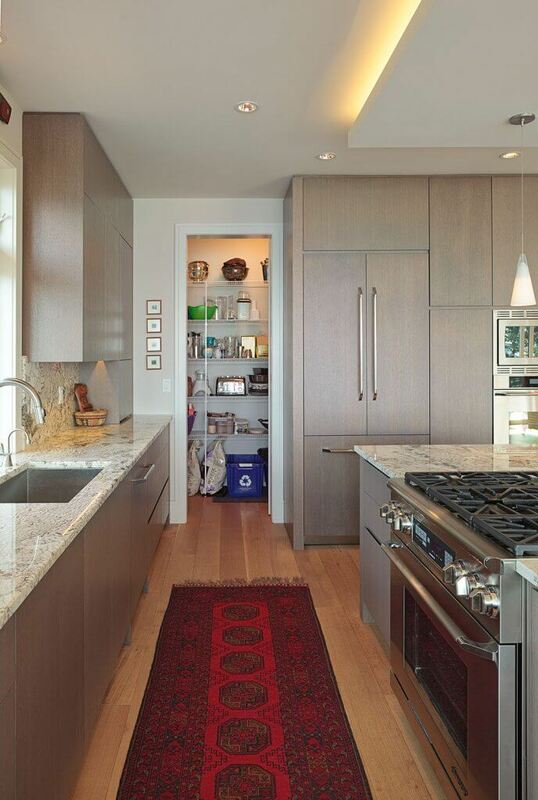 Take for example, a long kitchen with a stovetop integrated into the island. In this instance, the triangle is adapted from its equilateral shape to that of a scalene triangle with no equal sides. One station is inevitably placed further away than the others, but changing the scope of the kitchen also allows cabinets and appliances to fall into more ideal spaces as the kitchen triangle expands in one or more directions. Your kitchen may also feature an island sink, and in this situation, your prep space may be right beside for wash station, rather than behind you – all good – simply collaborate with your kitchen designer to optimize the location for your stovetop. There are of course, exceptions to the validity of the kitchen work triangle. In single wall kitchen its geometrically impossible to achieve a triangle shape, but the concept can still be applied by configuring an optimal layout of all three key points by gauging how far apart they are. The kitchen work triangle is a thing of beauty. Its simple dedication to functionality, practicality, and efficiency is steeped in an architectural zest of style that lends itself to intuitive and beautiful spaces geared towards what’s at the heart of the kitchen; family, food, and togetherness. 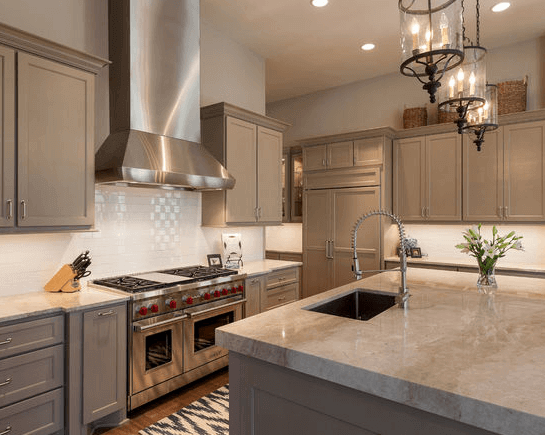 Its adaptability and purpose have ensured its longevity, but it’s the vision of engaged homeowners that help make the concept of the kitchen work triangle the force of design its known as today.